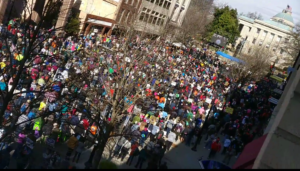 On February 11, the North Carolina NAACP hosted the 11th annual Moral March on Raleigh, which came on the heels of the very successful Raleigh Women’s March only weeks prior. 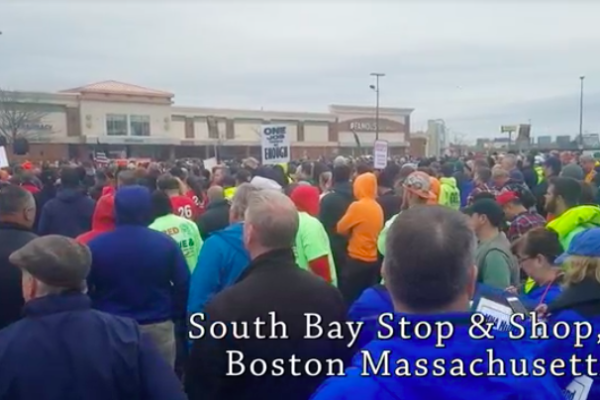 Much like the aforementioned event, the attendance far exceeded expectations, and by some accounts the crowds were larger than any previous Moral March—with some estimates at more than 100,000 people. 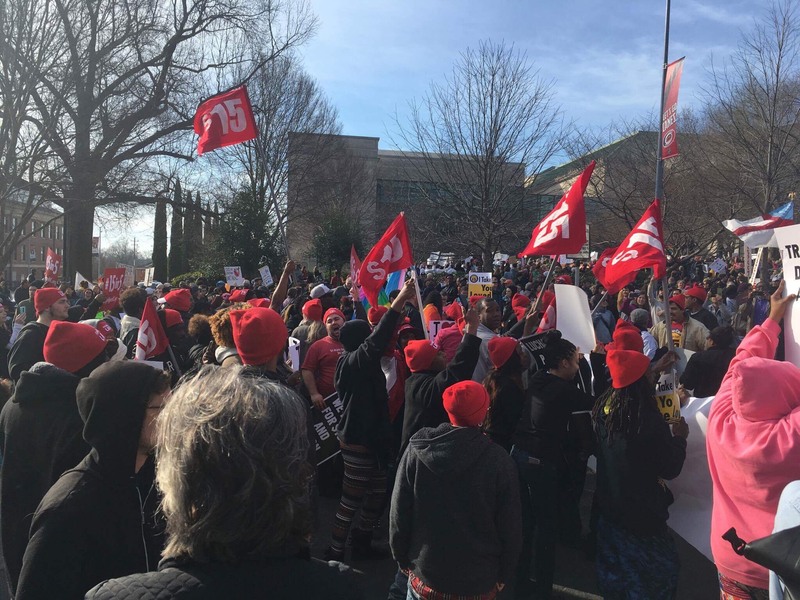 Much like the Moral Monday movement that began in 2013 as means to resist the right-wing assault on working people in North Carolina, the mass of people that came together in the capitol represented a wide range of disparate progressive groups engaged in a variety of struggles. 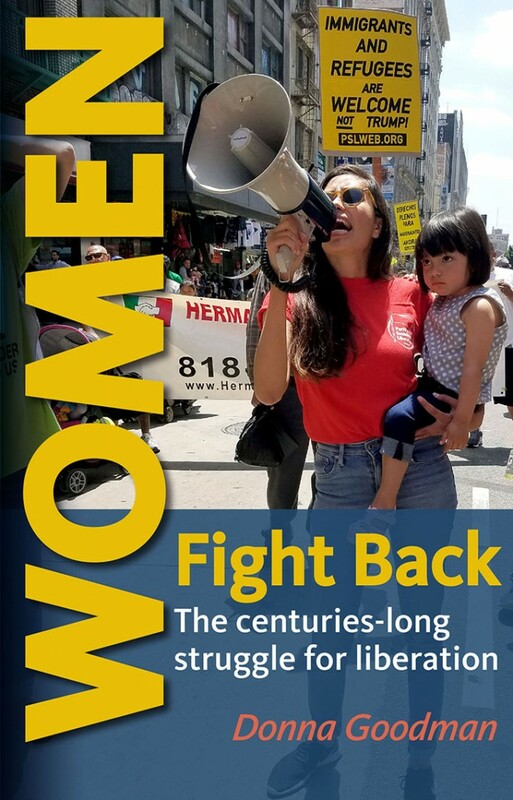 From reformers for education and universal healthcare to groups like Black Lives Matter and the Fight for $15, alongside labor unions, LGBTQ groups and organizations like Planned Parenthood, all had representation at the event. 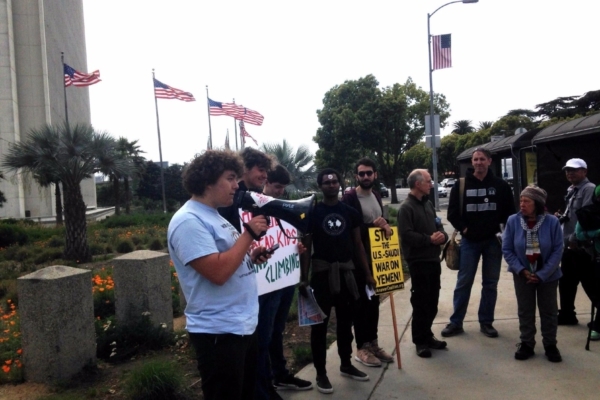 While the event itself was called on to be non-partisan, there were of representatives from various left political parties of all stripes including the triangle branch of the Party for Socialism and Liberation, Workers World Party, Communist Party USA and the Green Party. The sense of unity between all those present was palpable. Indeed, the bonds of solidarity that have been slowly forged by this movement presided over by t the Reverend William Barber seemed to have been strengthened in their resolve to fight back against the far-right of the Trump administration. 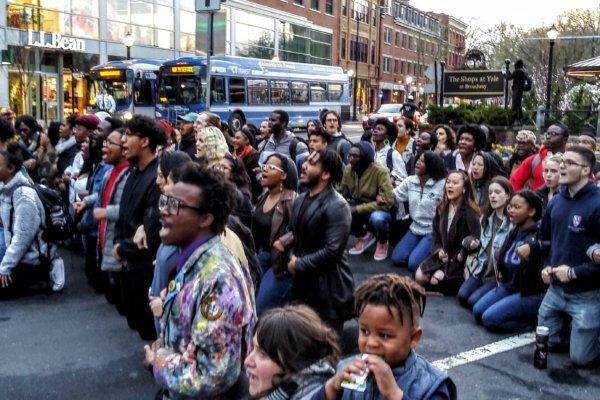 Barber, in much of his public discourse has called on these different elements to come together in order to form a “fusion coalition,” which harkens back to a political movement from the history of North Carolina and the rest of the South. During post-Civil War era, a “fusion coalition” oversaw a radical transformation of the state, which succeeded only the basis on the solidarity between both Black and white working class North Carolinians, leading to what Barber has termed the First Reconstruction. 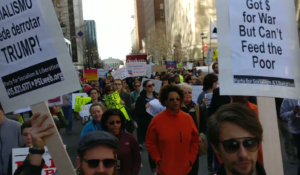 In his speech at the Moral March, Barber commented on the intersectionality of the crowd and the importance of unity, especially in the face of Trumpism. Most importantly, he highlighted that “standing down is not option,” with the only path moving forward being one that includes mass mobilization of working people from all walks of life. This is a very important message and one that was well-received by those in attendance. Despite the evidence of unity and fight back, there was also evidence that many there were looking to the Democratic Party for leadership in this struggle to defeat the Trump Agenda. There were picket signs directing people to “Grab Em’ by the Midterms,” a reference to the now infamous clip of Trump’s vile admission of sexual assault, as well as those calling for Trump’s impeachment or for Bernie Sanders or Michelle Obama to run in the presidential election of 2020. Some people even harassed Green Party members collecting signatures for ballot access, blaming them for the sins of the Trump administration. It is critical that this movement against Trump be lead by those with a vision of radical change. Leading this movement into the Democratic Party is a dead end. When former President Obama sold the U.S. electorate on “hope and change,” and then could not deliver, many became disillusioned. As history has shown, real change comes from mass movements of the people fighting together in unity and taking action on their own behalf.